LinkedIn is the top social network for professionals. You may post your life dreams, hopes and wishes on Facebook (as well as some cat memes), but you keep it official on LinkedIn. Because it is such a highly professional social networking site, where it operates as a resume and networking platform, it is very important to put your best foot forward and protect your privacy. However, LinkedIn has been in the news in recent years for its massive breaches of privacy. With such gaps in the site‘s security, how can you keep yourself and your information private and still use the platform? Today we‘ll look at the best tips to stay private and secure on LinkedIn. This is one of the best tips not just for LinkedIn, but also for all your accounts. Two-step verification consists of “knowing something,” such as your password, and then “having something,” such as your phone or other device connected to your account. This is a common feature on most accounts (email, social media), but it offers very strong protection for users. This will help to greatly reduce your chances of identity theft, as you’ll usually need to enter a code sent to your phone by SMS. Of course, this can get a bit trying after some time, as you’ll have to spend more than a millisecond to get into your account. However, the added security more than offsets that. Unfortunately, it is still true that the most popular password is still ‘password.’ There’s no need for anyone to reiterate how important it is to have stronger passwords. However, many don’t heed this advice, and they eventually suffer for it. Activity broadcasts: you can turn these on or off. They are used to broadcast any changes you’ve made to your profile plus follows and recommends. What others see when you look at their profile: on LinkedIn by default, others can see who’s viewed their profile. You can show up as anonymous if you wish. Who can see your connections: you can make your connections only visible to you or to your first-degree connections. HTTPS is the more secure version of the HTTP connection (the http:// at the beginning of the site’s URL). It encrypts all communications between your browser and the website. LinkedIn automatically establishes a secure connection when you are on sections of the website that will require you to input your sensitive information such as credit card information. However, it is possible to extend this to the entire website and thereby gain much more protection. Phishing is a very popular and rising tactic used by criminals to trick you into giving up your information (and eventually your money). They usually do this by posing as a friend or trusted source and asking you to click on a link or download an attachment. Before you click on any links, hover over the link (but don’t click on it) and check what the destination site actually is. Of course, for extra security, you should be using a VPN (Virtual Private Network) such as NordVPN, which will encrypt all your communications, as well as anonymizing you while you are online so that no one will be able to tell where you are connecting from. 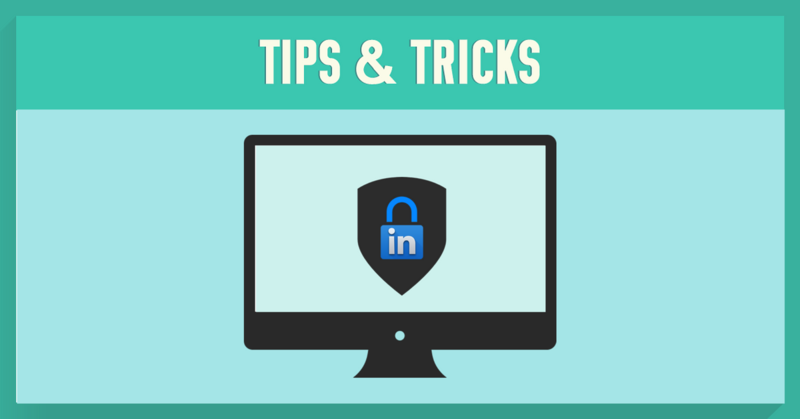 With these tips, you’ll be much more private and secure while you’re using LinkedIn.